The Virgin Islands can easily make you fall in love with them, the landscapes in the BVI are amazing everywhere you look: beaches and turquoise sea water everywhere. Just waking up in the morning and first things to see are hills and small islands behind a vast blue sea, this is one truly astonishment for everyone’s eyes. The BVI encloses some of the world’s greatest natural beauties, and sailing is the perfect way to discover them. 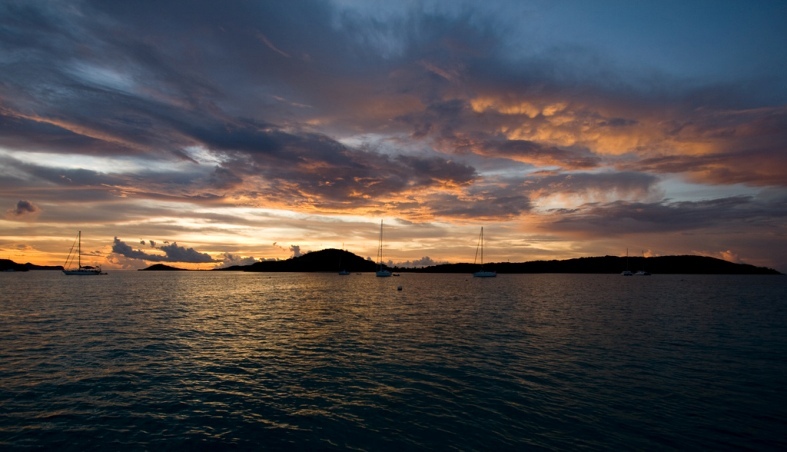 Hence, one of the most popular activities on the BVI is to go on a Yacht Charter. The British Virgin Islands is composed by a group of islands where the Atlantic Ocean meets the Caribbean Sea. The biggest island is called Tortola and it’s surrounded by some smaller ones like St. Thomas, St. John and Jost Van Dyke. These virgin waters are among the best sailing spots in the world. Yacht charters are amongst the best ways to uncover the Island’s most secret and wonderful places. Thanks to their proximity between each other, one may easily see and explore all of them on a Yacht Charter trip. What’s more: Snorkeling in this paradisiac landscape is unique! Travel balances calm docks with first-class marinas, offering a great variety of experiences in this tropical paradise. Don’t miss the 7 BVI Best Beaches! 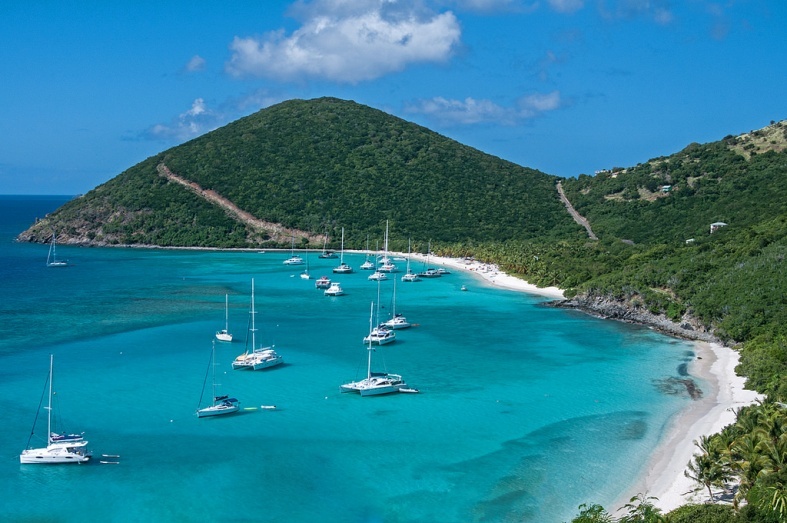 See a sample detailed itinerary for 8 days on the BVI and book your Caribbean yacht charter today! Sunny days, full moon nights and magnificent landscapes are only some of the things that describe best St. Maarten. Explore the scenes of colorful settings ruled by rainbow colours, from the sky, to the trees and waters. Adore the sense of the turquoise sea, dive into the undersea world filled with colorful fish, caves and coral; and sail on a catamaran to the hidden bays. St. Maarten is also known as the “Caribbean Gourmet Island”, and sometimes called as a culinary world leader with its different restaurants from which to choose. St. Maarten (name for the Dutch part of the island) is divided between the French Republic (northern part of the island) and the Netherlands (south of the island) and is located 900 km northeast from the Virgin Islands. One petit island, two different countries and a lot of different landscapes. This island has it all: from lively beach sceneries to remote deserts of sand. With a year round sunshine, St Maarten is to be enjoyed and explored. One of the most amazing spots for a caribbean yacht charter. Combine everything it has to offer – mix well – and we’ll find the perfect yacht for you! 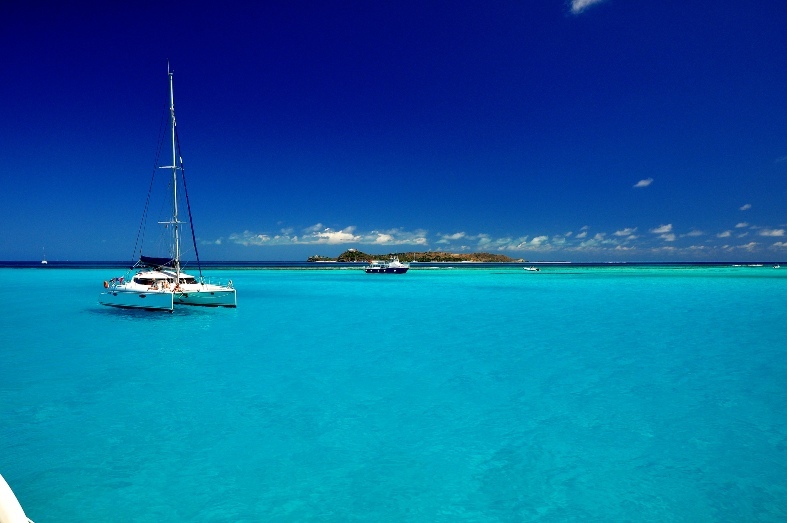 Check out our St. Maarten Yacht Charter Itinerary to plan your trip. St Vincent & the Grenadines are composed by 32 islands and cays, from which just 9 of them are populated. Between them Young Island, Bequia, Mustique, Canouan, Union Island, Mayreau, Petit St Vincent y Palm Island. 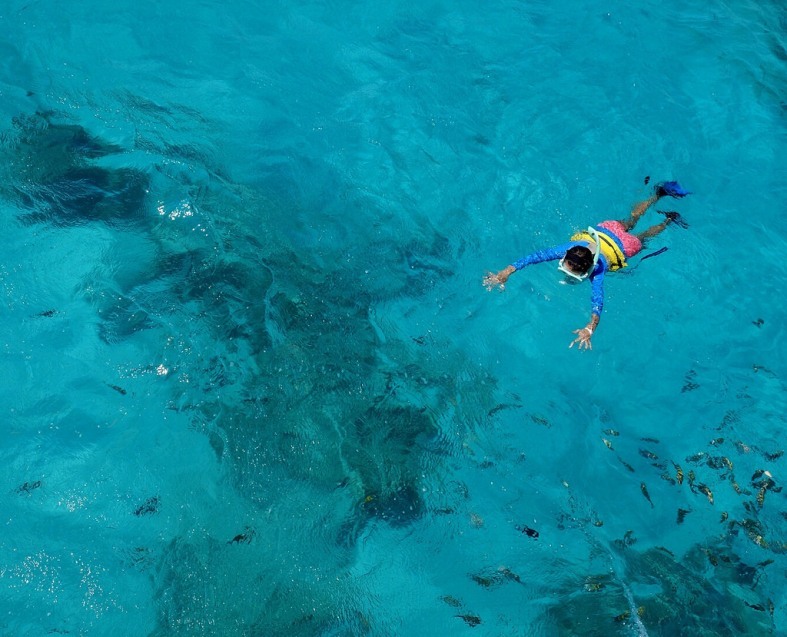 One of the best places on the SVG is the Tobago Cays National Marine Park. The South of the Caribbean Islands is a combination of tropical jungle adventures, diving in amazing undersea life and coral reefs, relaxing in paradisiac beaches and the best way to live all of it is with a Yacht charter. Accessible only by boat, the Palm Island experience begins dockside. Yacht charters are one of the most popular activities in the SVG. Sailing around and getting to hidden beaches, swimming in the calm waters and relaxing on stunning white sand beaches. Whether on a honeymoon, family vacations or just the desire to relax and rejuvenate, the SVG are an amazing place to go! Check the spots you can’t miss in our Grenadines Yacht Itinerary. The Caribbean sea has a lot to offer, and these 3 destinations are the best Caribbean yacht charter spots! Book your Caribbean yacht charter today!